There are many signs that spring has sprung, but few are as natural as the North Union Farmers Market at Shaker Square’s annual shift from indoors to outdoors. 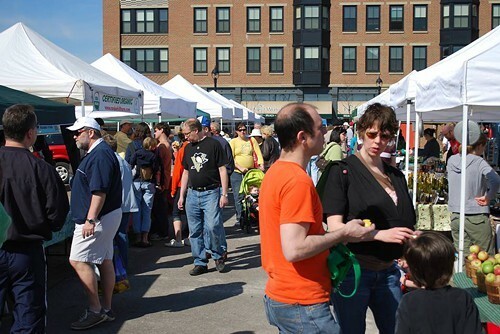 As is the tradition of the North Union Farmers Market at Shaker Square – aka the Shaker Market – the outdoor season will kick off with the annual blessing of the farms and farmers at 8 a.m. sharp, to be followed by the ever-popular sheep-shearing demos. This season marks the 22nd year for the long-running producers-only farmers market. "We know spring is here when hairy sheep show up at Shaker Square," says Emma Visnic, General Manager. "Come watch spinning by farmer Monica Bonque, sheep shearing by Baldwin Farm, who has come back early from his honeymoon in the Caribbean just to shear for you, free sampling of fresh spring egg strata and Dr. 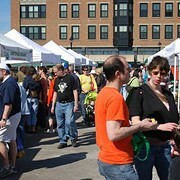 Awesome, the manufacturer of the world's largest bubbles, farms and more this Saturday at Shaker Square." Both directions of Shaker Boulevard will once again be filled with Ohio-grown produce, meat and dairy products. 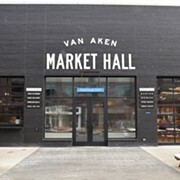 Those products will be joined by fresh-baked breads and pastries, arts and crafts, and live entertainment. The outdoor market runs every Saturday from 8 a.m. to noon, rain or shine, through December 23rd, when they move the operation back indoors.